High-tech work and residential complex in the Eindhoven region. The world’s largest wooden building. Location reserved and announced. Projected opening: late 2020. On Friday 16 March The Dutch Mountains project was presented. A new residential and work environment at De Run in Veldhoven, directly adjacent to the A2 motorway. The complex includes offices and workspaces, conference facilities, hospitality amenities, a hotel, short-stay facilities for knowledge workers and a park. It’s a place where people can work, live and encounter others in an environment that is as innovative and hi-tech as it is healthy and green. 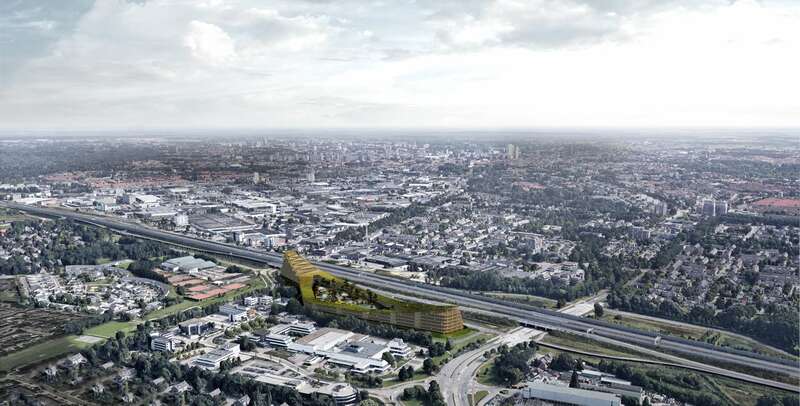 The aim is for The Dutch Mountains to become the largest wooden building in the world so that it will retain CO2. In other words, it’s a building with a mission. And with a level of ambition characteristic of the region. The Dutch Mountains will open late 2020 to early 2021. 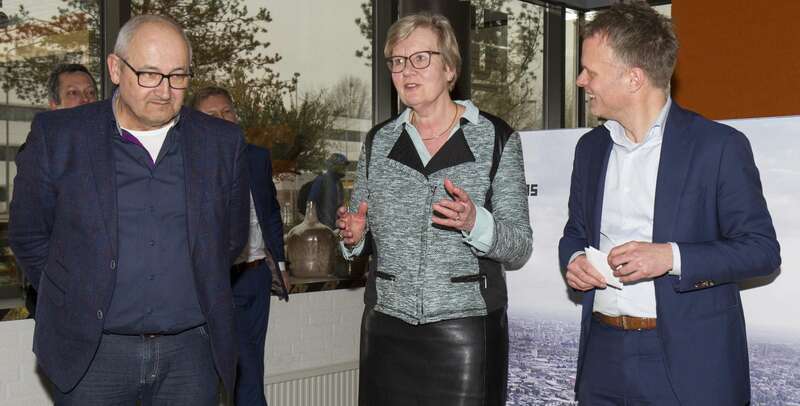 During the past eighteen months an innovative partnership involving tech companies, service providers, architects and developers has been developing the concept for The Dutch Mountains residential and work landscape. At the same time the viability of this concept was also examined. The results of this stage are positive. Which is why, on 16 March, the initiators of the project joined mayor Letty Demmers and councillor Ad van den Oever of Veldhoven municipality in signing a declaration of intent which marks the first step towards implementation of the project. The Veldhoven municipality has earmarked the De Run 1000 terrain for the project. The Dutch Mountains will be hosting features including a large park, public facilities, short-stay facilities, a conference centre and commercial premises. The complex will also include all sorts of hi-tech innovations making it representative of what some are dubbing ‘the smartest region in the world’. The building will be optimally self-sufficient, featuring closed cycles for energy, water, waste and materials. One of the objectives is to use solid wood to construct the building because of the positive effect on CO2 deposition. The Dutch Mountains will be the largest wooden building in the world. The Dutch Mountains will be a total service system. Light, heating, food, furniture, installations and even the façades are provided as services within the project. This means it will be possible to replace software as well as hardware over the course of time. For example, the façade generates energy; if a smarter façade becomes available in the future that produces more energy than the current one, it will replace the old one which will be recycled or processed. Moreover, the complex is completely data-driven and experience-directed which adds to its upgradeability. Plus the environment can be constantly adjusted: spaces can be given a different function from one day to the next and sections of the building can adapt to changing market conditions. It is particularly remarkable that from its inception the concept has been developed by tech companies and service providers who are normally only involved much further down the development chain. Together they are developing a new ‘white label’ service concept: an integral ‘ecosystem’ of services and technologies built around the user. This new service concept enables individual users to reside as pleasurably, comfortably and healthily as possible in the building – every user can regulate their own, personalized environment. In this sense The Dutch Mountains reduces the distance between users and service providers than any other platform. This requires a completely new operating and organizational model, the development of which is an integral part of the project (including the exploration of blockchain applications). For this reason the project was chosen as a finalist for the World Changing Ideas Awards organized by the globally trendsetting innovation platform Fast Company. As part of the exploratory stage the initiators developed a technology survey covering over 100 technologies (dealing with items such as energy, materials, façade applications and smart mobility) which can be integrated in The Dutch Mountains. 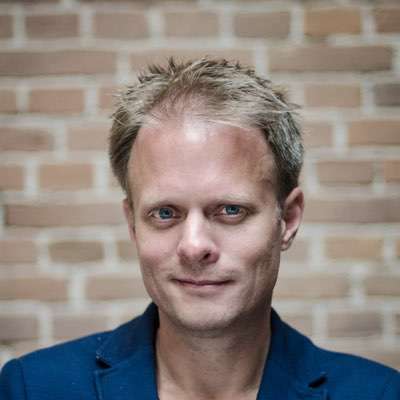 The majority of these were developed in the Brainport region. By applying these (and other) innovations in The Dutch Mountains, the complex will become a regional Hi-Tech Excellence Centre. The hi-tech experience will be enhanced by excellent hospitality amenities, conference facilities, exhibition spaces as well as living labs and displays telling the story of The Dutch Mountains, the Brainport region and the various hi-tech innovations. Part of The Dutch Mountain’s objective is to drive the transformation of the De Run industrial park into a new kind of work landscape. To this end a vision for the development of De Run was formulated in 2017 together with (a.o.) ASML, the Maxima Medical Centre, Brabantse Ontwikkelings Maatschappij (BOM) and the Veldhoven municipality. Part of this vision is to improve accessibility and provide opportunities for smart mobility. The Dutch Mountains was initiated by BLOC, Studio Marco Vermeulen and Urban XChange. Developing partner is Strukton Worksphere. Co-developers and operation partners are Asito, Beveco, Dell-EMC, HEYDAY and SPIE. Arup and Off Road Innovations are the knowledge partners. Visit our new Dutch Mountain website. Download the images (credits: Studio Marco Vermeulen).